The South of Boston area includes the historic cranberry-bog towns of Carver and Plymouth. Plymouth Rock is located here! This is the classic location that, in 1620, was where the Pilgrims reputedly first stepped foot on North American soil. 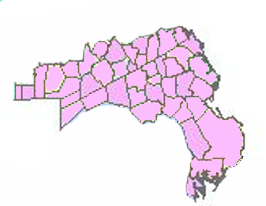 On the regional map, it's the purple area on the coastline, lower of center. So these are the towns in the South Shore region, as it's known locally. As I work on my town-photo-a-day project I'll be filling in the town names below. Be sure to bookmark and come back to watch the progress! I've also got some region-wide information below.